Best Gadgets for Gift > Tech News > Microsoft is going to make a smartphone? Some rumors spreading over the internet in the past 2 weeks said that Microsoft is going to make their own smartphone. Other source said that they are going to name the phone exactly like their tablet, Surface. Quoted from Tech Radar, Wednesday (April 17, 2013) the head of Windows Phone development Terry Myerson said the Surface phone is not in the Microsoft’s development list, well at least not yet. “Unless if Nokia or HTC is giving a disappointing user experience with our platform” Myerson commented. Nokia and HTC are partners of Microsoft in producing the Windows Phone. When asked about the partnership with vendors mentioned earlier, Myerson said that Microsoft is very satisfied and he even said that Nokia is a great partner. To this moment, Microsoft has been trying so hard in producing Windows Phone based smartphones. 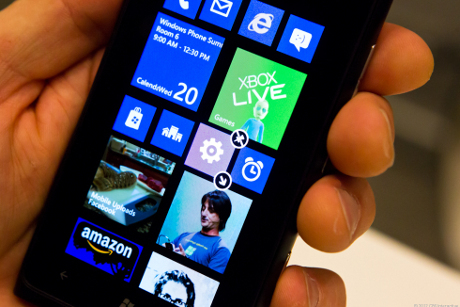 Nokia as one of Microsoft’s partners has managed to steal some attention with their Windows Phone based Lumia series.